Nemt, effektivt, hjælpsomme og hurtig respons. Kan klart anbefales! Managing and controlling your online spending at the PlayStation Store is made simple with the PlayStation Network Card. 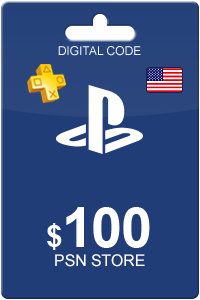 Once you purchase a PlayStation Network Card, we will supply you will a digital code in which you can redeem for credit inside the PlayStation Store. You will have the ability to buy things like full PlayStation games, full movies, music, apps and avatars all without linking your credit/debit card online. 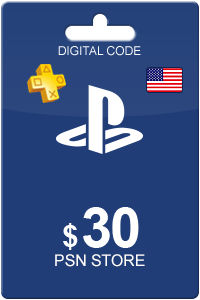 These are just a few of the things you can purchase on your PSP, PS3, PS4 and PS Vita. Sådan køber du Playstation Network Card 70 USD? At købe Playstation Network Card 70 USD fra Livekort.dk er lige så let som 1 2 3! Du skal blot indtaste din emailadresse, vælge en betalingsmetode og fuldføre betalingen! Vi har nogle af de billigste Playstation Network Card 70 USD på markedet.